TF Est. 1968 is a Swiss company that develops and produces exclusive cufflinks, pens and wrist watches. TF Est. 1968 watches, cufflinks, pens, and other accessories have their place in the international market for over a year. Founder of TF Est. 1968 company is Tschumi Freddy D, who was born in 1968. He graduated from the Gemological Institute of America, after which he held various positions in the management department of the sale of several well-known watch brands. In 2004, he founded the Global Luxury Brands WLL, and in 2011 - the company TF Est. 1968. TF Est. 1968 - this brand can be called an exclusive. Compare it with other companies is impossible, because no one brand produces cufflinks with a tourbillon. Herald of the success of the brand has a tourbillon, which is called the king of all watch complications. As it is known, along with minute repeater and perpetual calendar tourbillon is one of the most difficult complications in the watch world. Because before creation of this amazing complexity, the masters sought to develop a detail that would make the watch more accurate and reliable. Already in the late of 18th - century, when a watch became a mass product, watchmakers had a task - to improve the accuracy of watches. During this period, many watch companies have been designed timepieces, but this problem was not solved. The creation of a tourbillon solved the problem. Tourbillon (from French “vortex”) appeared a little over 200 years ago due to Abraham Louis Breguet, who invented it in 1795. In 1801, Breguet patented design in which the balance regulator is on a special platform that rotates at a speed of one revs per minute. This famous vortex, which is a sign of high status, subsequently has become an inseparable part of the accessories of the brand TF Est. 1968. Company’s founder Tschumi Freddy D was fascinated by tourbillons and released a collection of men's cufflinks and writing instruments, decorated with this gorgeous complication. Probably many has a question, why is the tourbillion? To this question only the founder can answer. But that about the tourbillion movement, it is no big deal, it's very simple. Tourbillion in pens and cufflinks of the brand TF Est. 1968 moves from the vibrations of hands. It consists of a balance wheel with hairspring and connected with it escapement. They are fixed to two steel bridges, which shape like a company logo - the letter «T» and «F». By their design these accessories like watches. As in watches, in cufflinks and pens axis are also protected by synthetic sapphires. Cufflinks TF Est. 1968 are made of steel with pink or yellow gold plating. There are also cufflinks which are made of 18-carat gold and adorned with precious stones. These gorgeous accessories the company TF Est.1968 creates for connoisseurs of style. The brand has won worldwide fame for its original cufflinks. Today, the company continues to please and delight its fans with new collections of cufflinks, pens and watches. These cufflinks decorate the most elegant wrists. On the wave of the unprecedented success of the collection with tourbillion the company presents cufflinks with moon phase indicator, which excellent craftsmanship combines successfully with their acceptable cost. They have an elegant design, resistance to impacts and all sorts of mechanical damage. Most recently, the company has released a novelty made of carbon fiber, fluorescent colors. 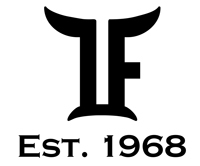 On the eve of the Jewelry and Watch World Exhibition BaselWorld 2012 the company TF Est. 1968 consolidated its position as an innovator by another creative know-how - a collection of cufflinks with the moon phase indicator. The Swiss company TF Est. 1968 is known for its cufflinks and pens in the market, but in its collections wrist watches occupy a place of honor. At the World Exhibition BaselWorld 2012 the company presented its new collection of watches. TF Est. 1968 watches are presented in several collections, dividing conventional models and chronographs. TF Est. 1968 watches are made of steel 916L or rose gold 5N and equipped with carbon dials. Hour markers and hands are covered with fluorescent material, which allows determine the time, even in total darkness. The dial is protected by sapphire crystal with anti-reflective coating. Models are available with strap made of rubber or silicone, as well as nylon strap NATO-style. Wristwatches TF Est. 1968 are collected on the basis of Swiss movements - quartz or automatic. To buy watch TF Est. 1968 is possible through our authorized dealers for 1450 CHF (with automatic mechanisms) or 890 CHF (quartz).